A donation of $25 can be applied toward membership fees for those who would like to join. Click on the Join Me tab in order to become a member otherwise proceed below. 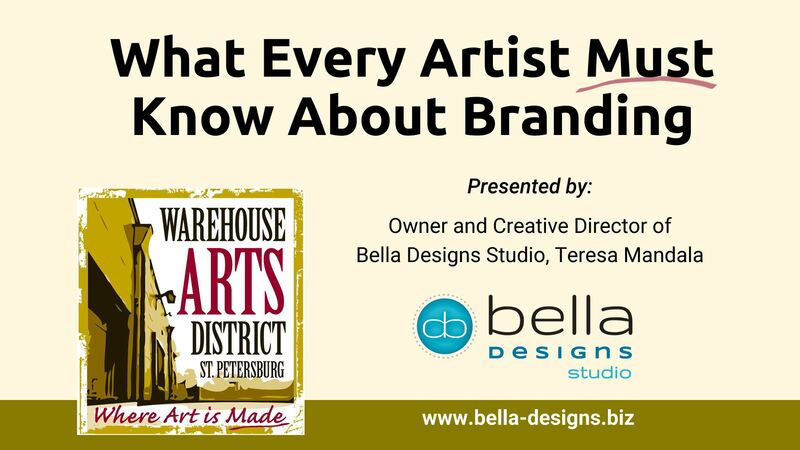 WADA member, Teresa Mandala from Bella Designs Studio, will discuss what is a brand and why you need it to grow your business as an artist. This is an interactive workshop, so bring pen and paper and an open mind! We’ll also be exploring national artists who have made a name for themselves because the created a solid brand. This seminar is free for current members of the Warehouse Arts District Association. A donation of $25 is suggested for non-members and will be applied toward membership fees for those who would like to join. Become a member here before registering in order attend for free.